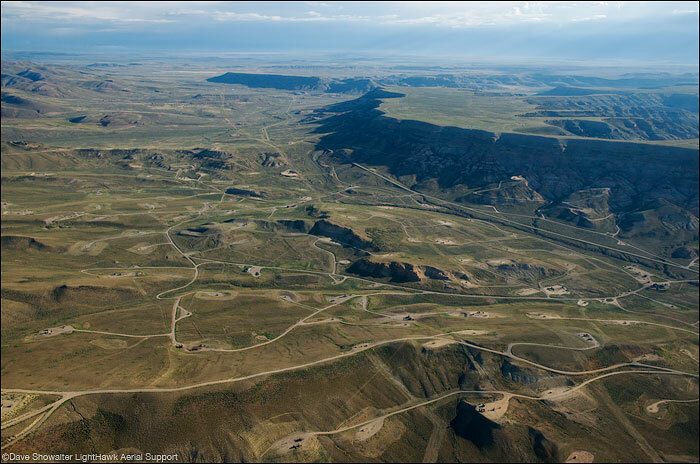 The aerial perspective shows a fractured landscape and spiderweb of roads in the LaBarge Gas Field. This landscape has been converted to a full-scale industrial zone that is only suitable for gas production. Photo © copyright by Dave Showalter.